Following a sellout tour earlier this year, Jeremy Hardy hits the road this Autumn with his new show, which is guaranteed to cheer you up in these difficult times. Jeremy Hardy is at The Apex on Sunday 1 October at 8pm. 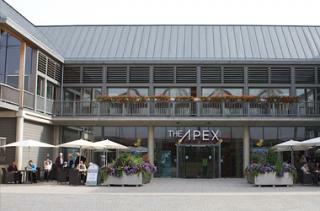 Tickets are £14, ring the Box Office on 01284 758000, or visit www.theapex.co.uk for more information, or to book your tickets.